Braunton is said to be the largest village in England, although it sometimes feels more like a small town. It lies close to Barnstaple, two miles from the sea. The Caen Stream, a tributary of the Taw, runs through the centre of the village. Braunton took its name from St Brannock, who came from South Wales as a missionary and converted the natives to the Christianity in 550AD. He was a priest in the household of King Brychan of Brencknock, who married one of the king’s daughters. At that time the Welsh Britons often raided their neighbours on the opposite side of the Bristol Channel. Brannock probably came to North Devon on such a raid and is said to have landed on Saunton Sands at the mouth of the river Taw. The estuary of was wooded in those days as was a portion of Braunton Burrows. Brannock settled among the tribe of Britons, who lived here, soon establishing a strong Christian community. St. Brannoc founded a chapel at Braunton in the 6th century. This first Christian church in North Devon was built at a spot near where the Caen Stream began to spread its waters on the alluvial lands around the river Taw. The location was revealed to him in a dream as a place where he would find a sow with a litter of piglets. This theme is reflected in the 13th century church. There is a carving of a sow and her litter on one of the carved roof bosses. The church is also known for the 16th century carvings on the bench ends - some of the finest to be seen in the country – and its Jacobean woodwork. 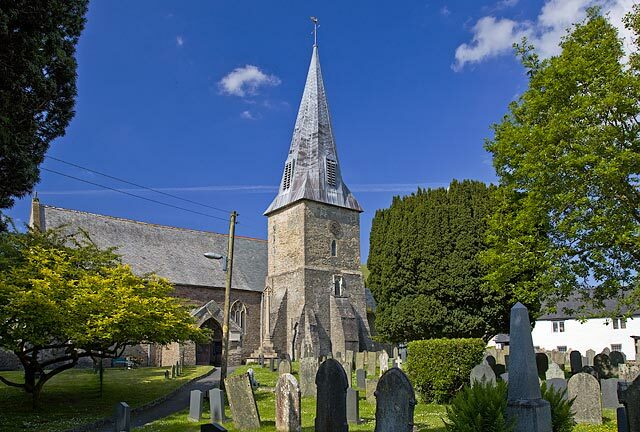 Braunton also has an old ruined chapel, overlooking the narrow streets of the original village. The saint was not particularly modest and named the township he had founded Brannockstood. This later became Brauntona and, by the end of the nineteenth century, Braunton. Many older villagers still say they lived in “Branton”, a throwback to the earlier name. There is a small local museum. This is centred around the themes of the old occupations of farming, fishing and sea-faring. Braunton was once a port in its own right. To the east of Braunton is the famous archaeological site of Braunton Great Field. This is one of the few remaining medieval open-field systems. The site extends for some 350 acres - divided into strips separated by grass banks, each a foot wide. South of the great field lies Braunton Burrows, the largest expanse of marram grass covered sand dunes in the West Country. The system is famous for its plant and animal life. The burrows contain a golf course and a rifle range, in addition to the nature reserve. Saunton Sands lie at the northern edge of the sand dune system. The three mile crescent of fine golden sands, open to the Atlantic, provides a reasonable surfing beach. 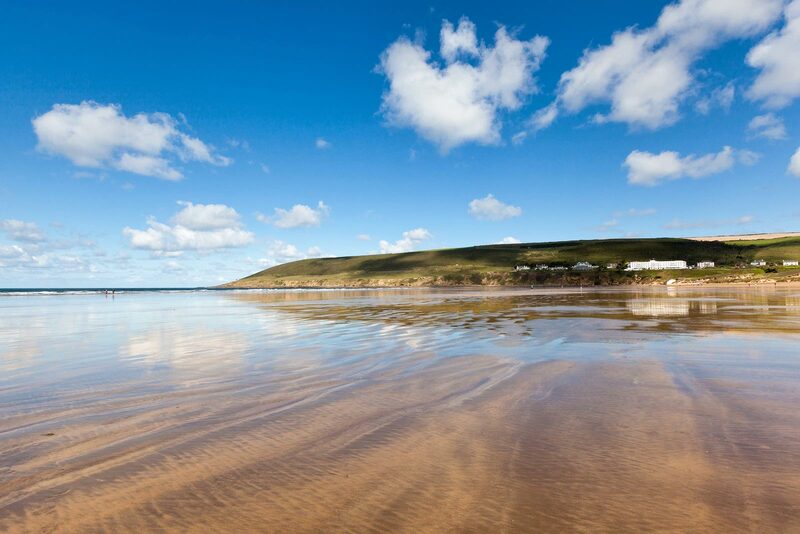 At the northern end of Saunton Sands is a car park with a small shop, café and toilets. Bathing is safer at the northern end of the beach, with dangerous currents at the southern end. The Saunton Sands Hotel is an interesting modernist construction from the 1930s.